For start ups and small businesses without a staff hundreds, social media can seem intimidating. There’s an overwhelming array of social media tools that are rolled out almost everyday, let alone getting to master the most popular social media platforms like Twitter, Pinterest, Facebook. Startups, just as much as household brand name companies, need a good handle on what’s being said about their brand. Below are three user-friendly social media tools start ups and SMBs can use to monitor what’s being said about them that won’t kill a tight budget. 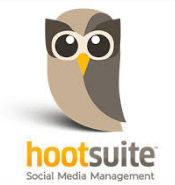 Hootsuite Pro: Hootsuite Pro is great for brands wanting to build their social media presence on Facebook, Twitter, Google Plus, and LinkedIn. It has a very basic interface-letting users schedule posts and track activity with their Facebook, Twitter, Google+ and LinkedIn accounts. Multiple profiles on all of these platforms can be maintained with individual streams under one account. Future posts can be scheduled days or even weeks in advance. Customized social media analytics reports let users measure viral Facebook posts, trace web conversions to social outreach, and see how many times your brand is mentioned. The cost is a mere $9.99/month for a basic Pro account. Facebook Insights is an analytics tool that’s integrated within a Facebook page. Admins can access these free analytics of a brand’s Facebook page at any time. Facebook Insights gives admins important insights into which kinds of posts are more successful (more photos versus articles for example), how many people became engaged by the post (70 people clicked and viewed that cool cat photo), and how viral that cat photo became (the percentage of unique viewers who have created their own story, or “shared” the story on their own wall). All of this valuable information can help admins determine which types of posts (contest,photos, articles, videos) to post more of, so that they can draw in more Facebook fans. Twitscoop: Twitscoop is a Twitter tool that integrates users’ Twitter accounts, so users can combine regular features of sending/receiving tweets and finding friends along with more specialized features: tracking mentions of their brand, receiving automatic updates, and ability to background search favorite topics. Twitscoop is an easy, cost-effective way of being able to track mentions of your brand as well as other brands, topics and friends you’re interested in on Twitter. There are plenty of viable yet cost effective social media tools that are available at your fingertips. Don’t feel pressured to use an expensive service simply because your company has the budget or because “everyone else is.” Explore these tools mentioned and others to make sure that your company’s social media needs and image are maintained in a way that you have control over. For an even better, detailed article on nearly every social media monitoring service out there, bookmark Jason Falls’s comprehensive article on Social Media Explorer. Last week, I had the opportunity to attend an event held by real estate listing service Trulia for public relations professionals, called Journos and PR Pros: Friends or Foes. This event had a panel of four well-known journalists: Kara Swisher (AllThingsD), Doug MacMillan (Bloomberg/BusinessWeek), Scott Budman (NBC News and Host of Tech Now! ), and Shayndi Raice (Wall Street Journal). Each of them had their brains picked about their pet peeves working with PR professionals, tips on the best way to pitch a story, and what PR professionals should do to get their attention. 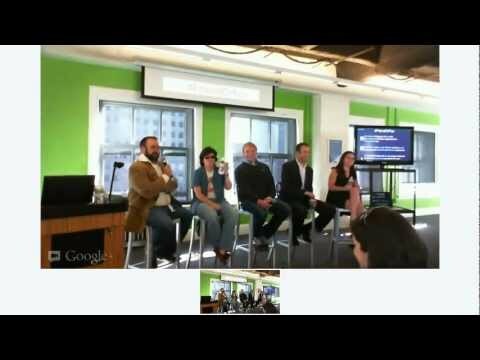 Pet Peeves with PR Professionals: Each member of the panel mentioned how much they hated spam pitches that weren’t targeted specifically to them, especially since they get about 200 emails in their inbox when turning on their computer in the morning. Think about it-spam pitches are like the infamous Nigerian spam email, promising the receiver money if a fee was sent to them. Embargoes on information were another pet peeve, Kara Swisher emphasizing that embargoes could go to trash box heaven. Shayndi Raice on embargoes, “Once I see them, I stop reading. Wall Street Journal has a policy that if we can’t use all the information, we won’t use any of it.” Embargoes are like someone whispering, “I’ve got a secret but you can’t tell Person X.” If you can’t relay certain information, don’t bother including it at all. Best Ways To Pitch A Story: In order to capture attention from a major publication like Wall Street Journal or Bloomberg BusinessWeek, be sure to 1) have a unique, interesting subject line, 2) name drop, if possible, in the subject line, 3) wrap the company news/pitch in a trend, and 4) know what the outlet you’re pitching covers. According to Doug, the key to emailing him is: if he knows you he’ll prioritize you. Second priority would be if you had an interesting subject line. A newsworthy subject line that said “Mark Zuckerberg leaves Facebook for new start-up in Silicon Valley” would be sure to draw his attention. You definitely want the person you’re emailing to click on your email-you can do that by inserting good keywords and making sure that one sentence/phrase in the subject line would be of interest to them. Shayndi Raice from WSJ strongly emphasized the importance of wrapping company news in a trend. None of them were interested in company news alone, but if that company were part of a trend affecting a region, they would be able to pitch that story. If you represent a tech startup like Square, you could mention that Bay Area entrepreneurs and small business owners are turning to mobile credit card solutions like Square and Intuit, that make it possible to run their companies efficiently, with low overhead. Major publications such as WSJ and BusinessWeek are more likely to publish trend news, but smaller publications such as tech or business blogs may be more likely to publish your company news. So know what the outlet you’re pitching covers, and who their demographic of readers are. What PR Professionals Should Do To Get Their Attention: Journalists are as unique as URL addresses. Sometimes other mediums of communication are better than just email at capturing their attention. Kara Swisher said she’s more responsive via Twitter than with email. Shayndi Raice is open to quick phone calls. Doug MacMillan actually likes meeting his sources first. If you’re a start-up, he’s interested in meeting the CEO or any other high-ups before writing about the company. Main takeaways: 1) Research the publication and journalist-find out what the publication covers and best ways to get a hold of the journalist, 2) Be unique in your subject line-don’t waste time and space on something generic and spam-like, and 3) Looking at the big picture and seeing your company is involved in a trend is more likely to get picked up than just company news alone, 4) Make friends with journalists-have a great sense of humor and be honest! If you want to watch a video of the event, catch it here. Thanks to Trulia for hosting and organizing, and of course, the journalists for their candid thoughts.